Last year, we were talking about a lot more teams with no wins at this time. It would appear that more teams are getting close to the parity of the middle of the pack. It also appears that less teams are standing out at the top. We have already seen a lot of teams decimated by injuries that keep their star players off the field. Some started the season (the 49ers) with a drastically changed line up because of retiring players, players getting cut because of trouble off the field (the Saints, 49ers) and some trading away some of their biggest stars (the Eagles & Saints) for some incomprehensible reason. 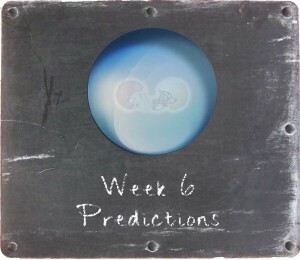 Week 4 is where the bottom dwellers must win to get out of the basement of their divisions. The Lions (0-3) play the Seahawks (1-2) in Seattle in a matchup that many analysts give Detroit no chance to win. The Bears (0-3) host a surging Raiders (2-1) team that has surprised many with wins over the Browns (1-2) and Ravens (1-3). The Saints (0-3), who are hoping QB Drew Brees is healthy enough to play well Sunday night, host the Cowboys (2-1), who have not looked as good since losing WR Dez Bryant and QB Tony Romo to injuries in their first two games. Buccaneers (1-2) host the Panthers (3-0) – the Panthers need this win to keep pace with the Falcons (3-0) who are favored to win their matchup. Cardinals (3-0) host the Rams (1-2) – while the Rams would not lead the division with a win, it would put them in a good position in a tiebreaker situation. The Rams have played well against division opponents, having defeated the Seahawks in St. Louis. The Texans (1-2) are going to Atlanta to try and knock the Falcons (3-0) down a peg – a win by the Texans would put the Texans in a tie for first place with either the Colts or Jaguars since the Titans (1-2) have a bye this week. The Falcons and Panthers, with a win, would still be undefeated and tied for the NFC South lead. Chargers (1-2) over Browns (1-2) – the Browns have QB Josh McCown – need I say more? Packers (3-0) over the 49ers (1-2) – can anyone stop the Packers this year?